Born 1931 as Barbara Jean Morehead in Tucson, Arizona, American film, stage, and television actress, and singer Barbara Eden is best known for her starring role of “Jeannie” in the sitcom I Dream of Jeannie (1965). Eden has starred in more than 20 theatrical feature films and made for television films. Atleast four different movie filming studios, 20th Century Fox, Metro-Goldwyn-Mayer, Columbia Studios, and Universal Studios. Most notably in the films: Flaming Star (1960), when she acted as Elvis Presley’s leading lady. Other films, that Barbara Eden had a leading role were: Voyage to the Bottom of the Sea (1961), The Wonderful World of the Brothers Grimm (1962), Five Weeks in a Balloon (1962), 7 Faces of Dr. Lao (1964) and The Brass Bottle (1964). 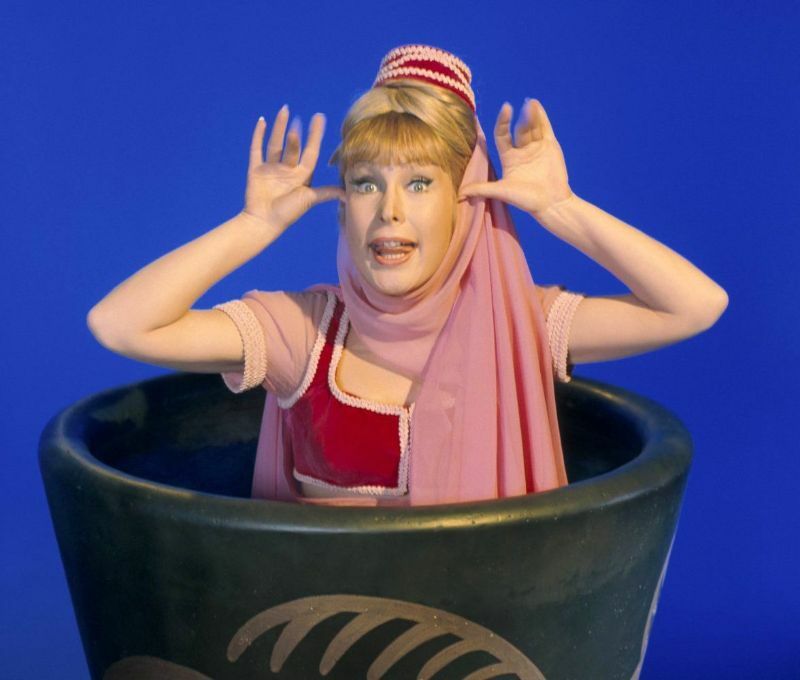 The Brass Bottle comedy movie led to Sidney Sheldon’s creation of I Dream of Jeannie (1965) comical TV series. Outside of her film and television works, Barbara Eden headlined a majority of the major hotel resorts and casinos including Lake Tahoe, Atlantic City and Las Vegas. She also was the star attraction at the MGM Grand, Harrah’s, Caesar’s Palace as well as on concert stages and in legitimate theaters across the country. In 1988, Eden received a star on the Hollywood Walk of Fame for her contributions to television. In 1990, the University of West Los Angeles School of Law granted Eden an honorary Doctor of Laws degree. Take a look at these glamorous photos to see the beauty of Barbara Eden in the 1960s.